In a previous posting, I discussed the background of Abdu’l-Baha’s tablet to an American Bahai, Mr. E. E. Wrestling Brewster, concerning the 18th century polymath and mystic Emanuel Swedenborg. … a query as to what is the relation between the Revelation of Emanuel Swedenborg and that of Baha ‘o ‘llah? The statement was given that the writer [Wrestling Brewster] was a deep student and disciple of the Swedish Seer and a communicant in the New-Church founded upon His doctrines; and further, that a resolve had been made to assist in spreading this spiritual philosophy before the masses. Music is regarded as a praiseworthy branch of learning … Chant (or sing) the verses of God in the great congregations and grand oratories, in the most wondrous accents, and raise such a melody in the Mashriqu’l-Adhkar that the Concourse on High will resonate. My latest book is out, from Leiden University Press (click to order (please)). The title is Principles for Progress. Essays on Religion and Modernity by `Abdu’l-Baha. It is 400 pages, most of them in bilingual Persian/English format. This is the third bilingual book in modern Iranian Studies that I have done, and the second for the Iranian Studies Series. The works in this volume are three of Abdu’l-Baha’s socio-political essays: The Secret of Divine Civilization, Selections from A Traveller´s Narrative and The Art of Governance. There is about 80 pages of introduction outlining the historical setting and the authors and actors that Baha’u’llah and Abdu’l-Baha knew. There are also translator’s notes on various textual issues, where a short footnote would not suffice, and an index. This posting, dedicated to Jackson Armstrong-Ingram, presents a short section for my next book: the chapter is on the Mashriqu’l-Adhkar, which is both the Bahai House of Worship and a Bahai devotional meeting, wherever it may be held. The topic here is sermons. Because I’m writing for an academic book, there are [footnotes] at the end of the posting. The Tablet below has been available in English only in a partial translation. It makes some interesting points about the centrality of the Mashriqu’l-Adhkar in Abdu’l-Baha’s thinking, and is historically interesting for its restriction of meetings, presumably those in Iran, to nine persons, so as to avoid inciting opposition. Let every person be subject to the governing authorities. 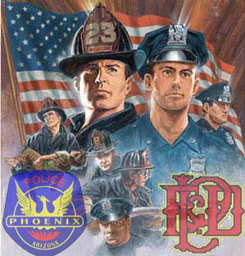 For there is no authority except by God’s appointment, and the authorities that exist have been instituted by God. So the person who resists such authority resists the ordinance of God, and those who resist will incur judgment. There is no verse like this in the two Epistles of Peter. It appears that Abdu’l-Baha misspoke in this tablet, where he attributes the verse to the Apostle “Petrus”, i.e., Peter. When the young Shoghi Effendi was in England for his university studies, he went to Manchester, arriving there on October 1, 1921, and staying for six days. On the evening of October 2 he was at a meeting of the Bahais in home of Mr. and Mrs. Heald. Riaz Khadem (Shoghi Effendi in Oxford, p. 118) describes that meeting as largely musical. Shoghi Effendi shared some Persian poems by Abdu’l-Baha that could be used as hymns. There is more in Riaz Khadem’s account of Shoghi Effendi’s visit, but it is the mention of Samuel and Mrs. Heald that interests me here. An enquirer asked: Do Baha’is really believe that copper turns into gold after 70 years if protected from becoming dry (or solidified)? So the will and the intelligence and the perception are in nature after all… and God becomes unnecessary to explain order in nature and the emergence of human life. There are numerous ‘pilgrim’s notes’ recording people’s memories of the words of Abdu’l-Baha or of Shoghi Effendi, some more reliable than others. But the diary entries below are Shoghi Effendi’s reports of the words of Abdu’l-Baha, dated in 1919, as the First World War was ending. They include Shoghi Effendi’s translations of sections of Abdu’l-Baha’s tablets. Abdu’l-Baha wrote at least two letters to the Scottish-American industrialist and philanthropist Andrew Carnegie. What appears to be the earlier of these must have been written in 1912 or the first weeks of 1913, although it was not until 1915 that a translation by Ahmad Sohrab, dated 1 May 1915, was published in The New York Times (September 5, 1915) and Star of the West vol. 6 no 11, September 27 1915. I am posting the full text here to make it available to search engines. The original of the letter also exists, in the Baha’i archives in Haifa, having turned up in England in the late 1940s. I haven’t found it published in Persian Bahai sources. The original may have the date of composition on it, the translation does not. I think it must have been written in 1912, because the other letter to Carnegie is dated January 10, 1913. The letter below begins with a reference to its being sent via HH Topakyan, the Persian Consul-General in New York, as if this was new, while the January 1913 letter and its cover letter suppose that this route was known to both Carnegie and Topakyan. This tablet by Abdu’l-Baha, dated around 1899, responds to detailed questions, “concerning the wisdom of referring some important laws to the House of Justice.” Abdu’l-Baha replies that, in principle, the Baha’i Faith is similar to Christianity, whose scriptures also specify only a few laws. 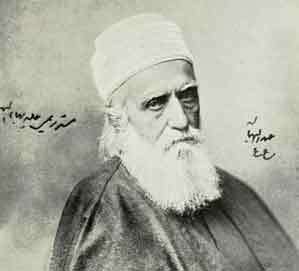 Mirza Muhammad Ali was a younger brother of Abdu’l-Baha who rebelled against his brother’s authority as head of the Bahai community, was able to secure possession of some Bahai properties and for some time to cause other difficulties, particularly by misrepresenting Abdu’l-Baha to the government as a threat to the Ottoman state. By the end of his life, Muhammad Ali was left without friends or followers, and had been forced to abandon the properties that he had seized, but did not have the means to maintain in a liveable condition. He died in 1937. There has been no “Muhammad Ali” sect of the Bahai Faith for seventy years past. So why mention this old history here? In a conversation with a friend about the translation of the 8th Ishraq (discussed here), I realised that he thought the whole question of the Bahai teachings on church and state hinged in some way on doubtful matters: on the translation of the Ishraqat, on whether the words “the consummate union and blending of church and state” had been interpolated into a report of Abdu’l-Baha’s words, (See the entry ‘A consummate union’), and such like. You can ‘prove’ just about anything, by pulling words out of context. A few years ago there was an example of this tactic on a web site opposing the Bahai teachings, called ‘Answering Bahaullah.’ One page there purported to show examples of racism in Bahai scripture. That site is no longer functioning, although the web archive has a copy, but the material from that page is being recycled by various bloggers and has been reproduced in the ‘Bahai Combat Kit’ at page 73 (image later in this entry). I’ve been looking again at an old claim that Abdu’l-Baha’s Will and Testament was not written by Abdu’l-Baha, that it was ‘fraudulent.’ This claim is the foundation for two small Bahai splinter groups that reject the institution of the Guardianship (established by Abdu’l-Baha in his Will and Testament), and it has also been propagated in Germany in anti-Bahai polemics published by the Lutheran ‘Central Office for Questions of Ideology’ (EZW). In looking through the documents, I’ve noticed something that doesn’t seem to have been commented on in the past. This posting points out that there is a clear procedure for the appointment of a legitimate Guardian of the Bahai Faith, and none of the claimants satisfy it. Therefore, all the past claimants and present hopefuls are counterfeit. That’s not true for Islam: Friday is the day on which attendance at the congregational prayers at noon in the mosque is obligatory for those Muslims who are able, but it is not a ‘day of rest’ in Islam. But what about the Bahai Faith? We do not say our obligatory prayers in congregation (although we may say them, each for himself, during the Mashriqu’l-Adhkar service, but that is another story). Do we have a day of rest, as the wikipedia article says? 1. After the World Order of Baha’u’llah is established and the World’s legislative & executive branches of government are arms or derivatory institutions of the Universal House of Justice (which appears to be the case from my readings) will non-Baha’is have the opportunity to vote for the National Assemblies that elect the House of Justice? Alternatively, can/will the Universal House of Justice be elected in some other way? 2. Will the World Legislature and/or Executive be elected or appointed by the Universal House of Justice? Alternatively, is the Universal House of Justice to become the World Executive? If elected, will only Baha’is have the right to vote? I was in the bazaar of Shiraz one morning early, just after sunrise in April. The sound of a sermon drew me off the main route through the bazaar: the mullah’s voice rising and falling in beautiful rhythmical Persian. I followed the sound and came into a courtyard with shops on two floors around, and in the middle a garden with some orange trees. It appeared to be a former madrasah converted into shops. In one corner sat the mullah on a chair, rocking back and forth and gesturing left and right in time with the rhythms of the language, all built up of pairs of synonym phrases. Either he had it entirely memorised, or this was highly polished extempore art like rapping. In front of him a cloth of perhaps 10 metres square was spread out on the ground, and about 25 merchants were sitting around the edges of the cloth, eating cucumber and flat white bread and white cheese, and drinking tea. Several of them gestured me to come and sit at an empty place, and one who made it his business to serve the others brought me some food and tea. I noticed, a little bit further away, under one of the orange trees, that there were two women also sitting on a cloth. The sermon was interrupted with some munajat, responses from the merchants, then more rhythmic Persian by way of conclusion. Then the mullah looks at his watch, jumps up, bows left and right and hurries off. I suppose it lasted 30 minutes, but I was hardly aware of time passing. The shopkeepers fell to gossiping, and then went off one by one to raise the shutters on their shops. Now concerning nature, it is but the essential properties and the necessary relations inherent in the realities of things. And though these infinite realities are diverse in their character yet they are in the utmost harmony and closely connected together. As one’s vision is broadened and the matter observed carefully, it will be made certain that every reality is but an essential requisite of other realities. Thus to connect and harmonize these diverse and infinite realities an all-unifying Power is necessary, that every part of existent being may in perfect order discharge its own function. In a letter dated 7 April 1999 the Universal House of Justice warns among other things of an “attempt to suggest that the Mashriqu’l-Adhkar should evolve into a seat of quasidoctrinal authority, parallel to and essentially independent of the Local House of Justice.” Although I am not aware that this idea has ever been put forward in the English-speaking Bahai world, the letter may be taken as evidence that it has or may emerge somewhere. So it seems a good idea to consider the relationship between the Mashriqu’l-Adhkar or House of Worship and the Houses of Justice (i.e., the Bahai administrative institutions, which at the local and national level are now known as Spiritual Assemblies). To understand the institutional relations at the core of the organic Bahai community, we will also have to include the guardianship. – The Maxwell’s pilgrim’s notes, anticipating the Lesser Peace by 1953. – Esselmont’s pilgrim’s notes, in the first edition of Baha’u’llah and the New Era, anticipating universal peace by 1957. As Dan Jensen has pointed out, the 1950 edition changed the date to 1963, but it is still just a pilgrim’s note, and universal peace was also not achieved in 1963. – Sarah Kenny’s Haifa notes anticipating the Lesser Peace in the 20th century. – A report in the Montreal Star on September 11, 1912, printed in Abdu’l-Baha in Canada p. 35, saying that peace would be universal in the 20th century. – A talk reported in The Promulgation of Universal Peace page 126, and in Star of the West 3.8.14, calling the twentieth century the century of international peace. What is the ideal future envisioned in Baha’i religion? Is it a global order in which the world is composed of many diverse religions, each tolerant of one another, and the Baha’i just one amongst many? Or would the Baha’i be the organizing principle? By one rope the Báb was suspended and by the other rope Aqa Muhammad-‘Ali, both being firmly bound in such wise that the head of that young man was on the Báb’s breast. The surrounding housetops billowed with teeming crowds. A regiment of soldiers ranged itself in three files. The first file fired; then the second file, and then the third file discharged volleys. From the fire of these volleys a mighty smoke was produced. When the smoke cleared away they saw that young man standing and the Báb seated by the side of His amanuensis Aqa Siyyid Husayn in the very cell from the staircase of which they had suspended them. To neither one of them had the slightest injury resulted. She was quite right. This is certainly not what Baha’u’llah envisioned!